Lately I’ve been thinking a lot about pet reptiles and their people. As an admirer of all wildlife, including the decidedly un-cuddly, I can easily get jazzed about reptile biology and behavior. I’m the first to volunteer for any chance to hold a snake, and I was overjoyed to find a wayward baby rat snake in my storage room. (I set it free outside.) I’ve held turtle eggs in my hand while they hatched. I defended a five-lined skink from marauding pre-school boys at my pool. 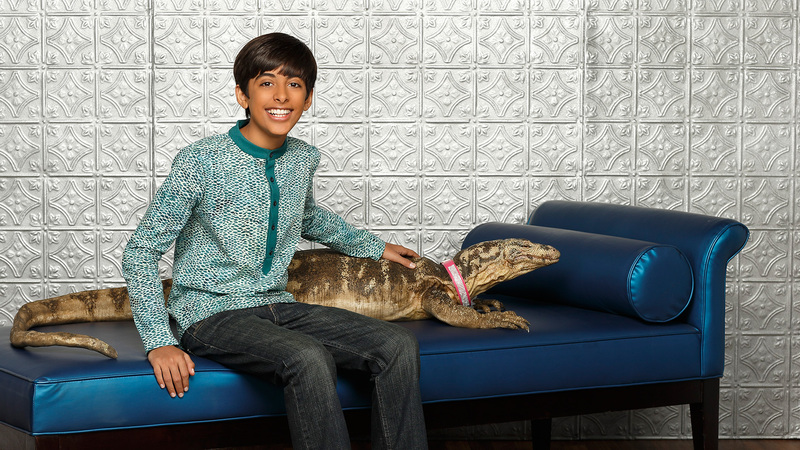 But… taking a pet reptile under my wing just isn’t my thing. I’ve never really cozied up to a lizard, snake, turtle, or any other dry, scaly, soft-egg-laying, cold-blooded vertebrate. For that matter, none has ever cozied up to me. And if one did, would that be just because it needed to warm up? 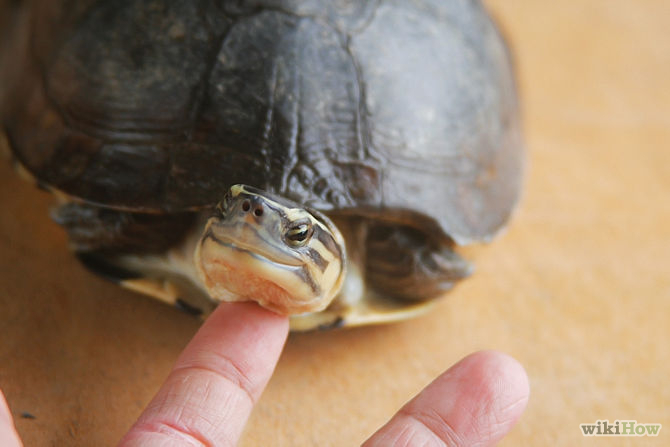 Can reptiles experience, and express, anything that looks or feels like affection? Does it even matter? Reptile people can’t just be hoping for a bond; there must be more to the story. So what is it that puts the magic in these unconventional companions for the people who nurture them? “I don’t know if it is love, but lizards and tortoises appear to like some people more than others.” Dr. Hoppes goes on to say, “Some reptiles do appear to enjoy human contact, especially when food is offered. Many will respond to feeding times, coming to certain people they associate with food.” Apparently turtles and lizards who like being handled will stay relaxed and stay put, rather than moving away. Extending the neck and closing the eyes are other signs of comfort. A cynic might say we’ve set the bar pretty low if, to demonstrate affection, we require reptiles merely to put up with petting and come to us for food. But then again, isn’t our bond with our more “traditional” mammalian pets built upon a similarly rudimentary foundation? 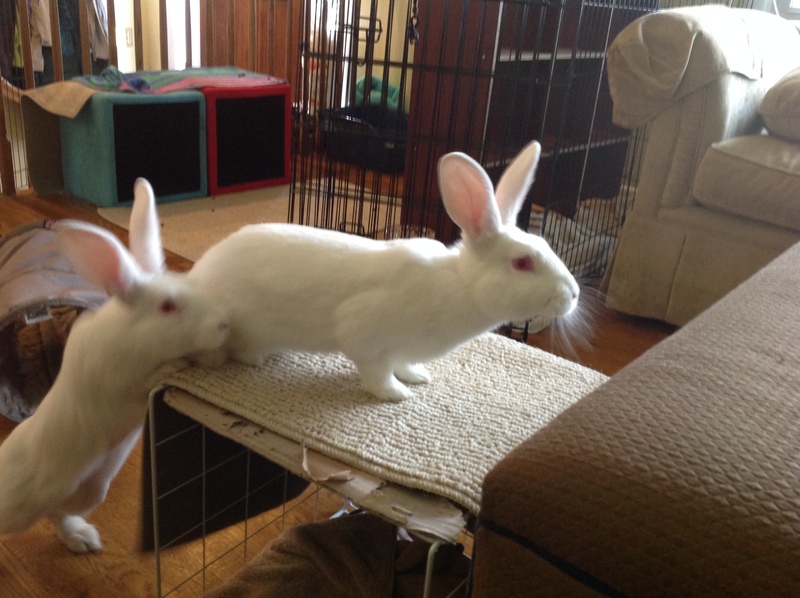 I love my rabbits. Why? Uh…because they’re funny to watch, and their fur is soft. Do they love me? Well, they put up with my petting them, and they sprint to me when I call them…because I might have food. I can’t prove there’s more to it than that. But I don’t need more. I love my dog. Why? Because she’s a soulful, lovely creature who seems loyal and smart. Does she love me? She puts up with petting–even seems to like it. But presumably that’s because it feels good, not necessarily because of love. She licks my face–to show love, or because my skin tastes good? Dunno. She associates me with food, and with feeling safe and warm and getting her needs met. I believe there’s more to it than that, but I can’t prove it. And I don’t require it. Proving that any pet loves any person, then, may be beyond what science can deliver. But I think we feel a bond with whomever we care for, and the degree of reciprocity isn’t necessarily an important factor in the intensity of our connection. Reptile owners may find them fascinating to observe. Snakes and lizards are kind of badass, so maybe their owners get to be badass by association. Reptile care can be pretty complex–sometimes involving a regimen of special lighting, frequent water changes, a diet of live creepy-crawlies–and that complexity probably attracts certain people. My friend recently spent almost $400 taking her kid’s pet turtle to an exotic veterinarian to be x-rayed and diagnosed with egg retention. Why? Certainly not because the turtle loves her. It’s because she feels attached to the turtle, and wants to do right by it. I think that’s probably the crux of it for a lot of us pet people, no matter who the pet happens to be. Are you a reptile lover? Have you ever been loved by a reptile? Next > What counts as play?